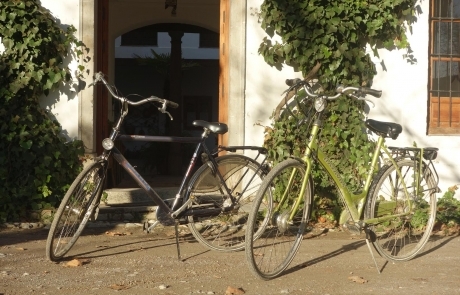 In the Cortijo we have several bicycles available for the use of our clients, . You may enjoy a ride through the country discovering the Vega, or a make a visit to Granada. Right next to our complex we have a bike path that allows you to safely ride into the city in about 15 minutes. In the former drying tobacco shed of the Cortijo del Pino, you can visit the rural school runned by Ciempiés, a company dedicated to enviornmental activites for children. 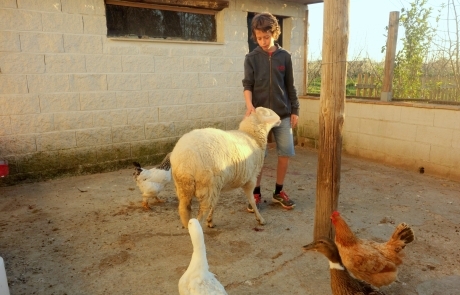 Here in their school you can visit some of the farm animals such as: chickens, ducks, sheep and a pig. 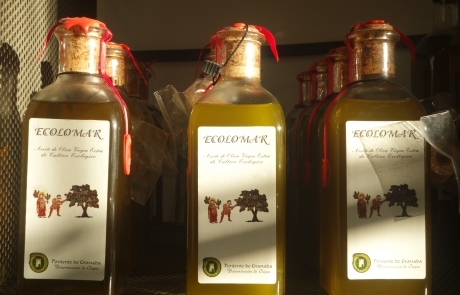 We also have an outlet where you can buy some packaged organic products from small initiatives of local farmers in the province of Granada such as honey from the Alpujarra , Alomartes oil, jams made with subtropical fruit from the coast, or preserves from Poniente or dried goods from Altiplano area.